Syrian military says coalition aircraft bombed position belonging to the Syrian army in eastern Syria, leading to deaths and injuries. 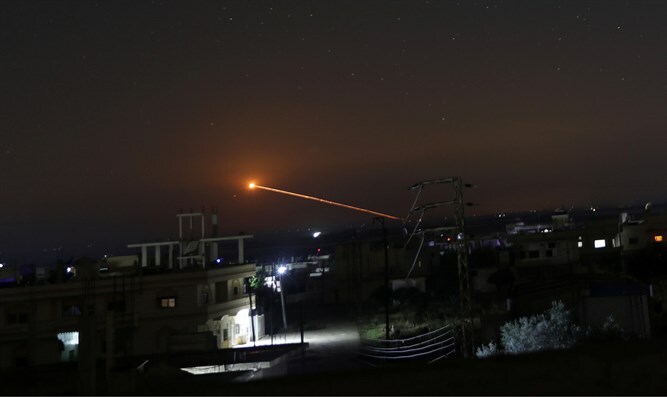 U.S.-led coalition aircraft bombed a position belonging to the Syrian army in eastern Syria on Sunday night, Reuters reported, citing Syrian state media. A military source said that the air strike led to deaths and injuries. The strike took place in al-Harra, southeast of Albu Kamal, it reported. There were no immediate details on casualties. A commander in the military alliance backing Syrian President Bashar Al-Assad also told Reuters that drones, "probably American," had bombed positions of Iraqi factions between Albu Kamal and Tanf and Syrian military positions. The U.S. army denied any connection to the attack. The U.S.-led coalition is supporting an alliance of Syrian Arab and Kurdish militia fighting Islamic State (ISIS) northeast of Albu Kamal. The Syrian army, alongside allied Iran-backed militias including Hezbollah and Iraqi groups, drove ISIS from Albu Kamal and its environs last year, but the jihadists have since staged attacks in the area. In May, a military unit run by Hezbollah said warplanes from the U.S.-led international coalition targeted two Syrian army positions in eastern Syria. The unit, a Damascus ally, said the strikes took place near T2, an energy installation located near the border with Iraq and about 100 kilometers (60 miles) west of the Euphrates river where the coalition is backing ground forces against ISIS. In April, the United States, Britain, and France attacked eight pre-selected targets in Syria. The strikes came in response to Syrian President Bashar Al-Assad's use of chemical weapons against civilians in Douma. Later in April, seven Iranian personnel were killed in an early morning strike on the T-4 airbase in Homs. Iran accused Israel of being behind that air strike, as did the Syrian regime and Russia.